Gators defeat the Georgia Bulldogs 72-50 at home for a record breaking 25-straight home wins. 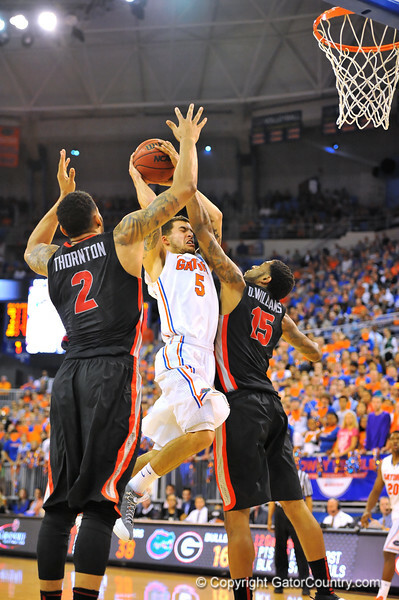 Florida guard Scottie Wilbekin is fouled while driving toward the net in the second half. Florida Gators vs Georgia Bulldogs. Gainesville, FL. January 14, 2013. Gator Country photo by David Bowie.